The Beer Scouts are a San Francisco Bay Area power trio that defines raw rock and roll: guitar, bass, drums… and someone screaming over it! The Beer Scouts are Rob Ruiz (12 string bass/vocals), Howard Vatcher (guitar/vocals) and Kenny Susan (drums, vocals). They play blues and straight-ahead rock and roll influenced by artists such as the Beatles, Brownsville Station, Cheap Trick, the Smithereens, Grand Funk Railroad, Chuck Berry and even the Monkees! 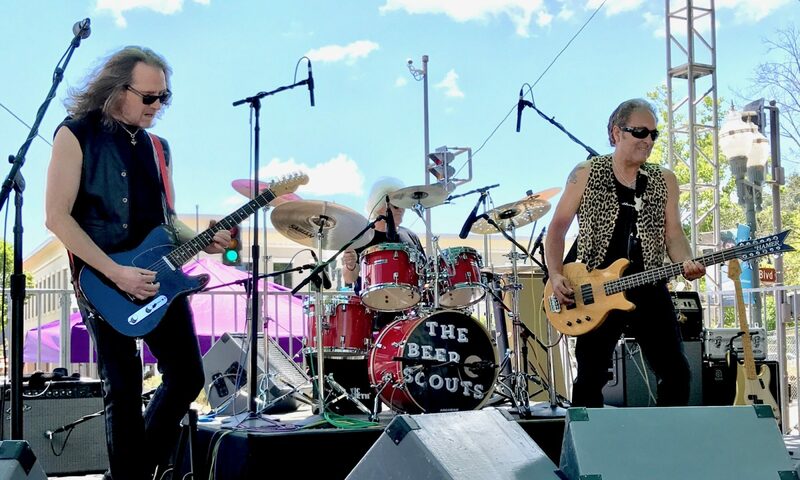 In their careers the members of the Beer Scouts have shared the stage with the biggest names in rock music, including Van Halen, Jeff Beck, Bob Dylan and many more. They have played a wide range of venues, from the Concord Pavilion to New York’s Bitter End, from hometown bars to London pubs. The Beer Scouts are on a mission to find a few good bars in their quest to bring the fun back to rock ’n’ roll music! Their motto: “Will Rock For Beer”!